I just received my review from the 23rd Annual Writer’s Digest Self-Published Book Awards. 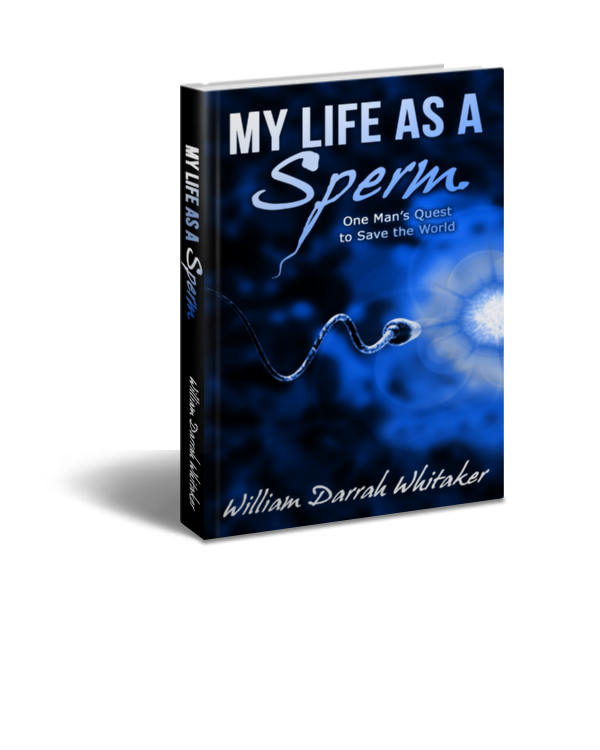 MY LIFE AS A SPERM: ONE MAN’S QUEST TO SAVE THE WORLD by William Darrah Whitaker is a fun book for those who enjoy sarcastic, off-kilter humor with a high-stakes plot. Who doesn’t want to see if a somewhat unlikable, improbable character can save the world? The title doesn’t seem to have much to do with the story. It seems more a ploy to get the attention of the reader than anything else. However, that ploy would be in character for the protagonist, a Hollywood agent. The cover, of a sperm on its way to unite with an egg, is well done. Not sure if I’d want to carry this book around in public, though. Maybe people would think this is a science book. That said, the back cover copy is well done. Potential readers will see what type of story they’ll be getting, and they won’t be disappointed. I would have liked to see an author bio and picture on the back cover. Endorsements would have been nice, too. The “word from Buddy” was fun inside, though. And there, it did tell us where to find the author, so that was a plus. The author drew the reader right in from the first sentence. Nice work! I got a sense of his personality right away. The nurse’s reaction was funny. The book kept up the pace throughout, with humor and verve. This author is very talented and writes in a style that is enjoyable for those who like this type of humor. This is not a talent you find every day. I think this author has a great future in store, either with subsequent books with this character, or at least books in a similar vein and voice. His fans will definitely appreciate him and will be looking for his books. Good work!